Further development of the nano platform. Building upon the successful nanoSERIES2 format, the new nanoSTUDIO line continues its ongoing development of comprehensive control, expanded functionality, Bluetooth and USB MIDI connectivity. The nanoKEY combines a 25-note backlit velocity-sensitive keyboard with 8 backlit velocity-sensitive pads, 8 encoders, a Kaoss pad for note, scale and CC entry, sustain and octave buttons plus much more. It is presented in a go-anywhere design smaller than a laptop. Bluetooth LE or traditional USB MIDI connection. 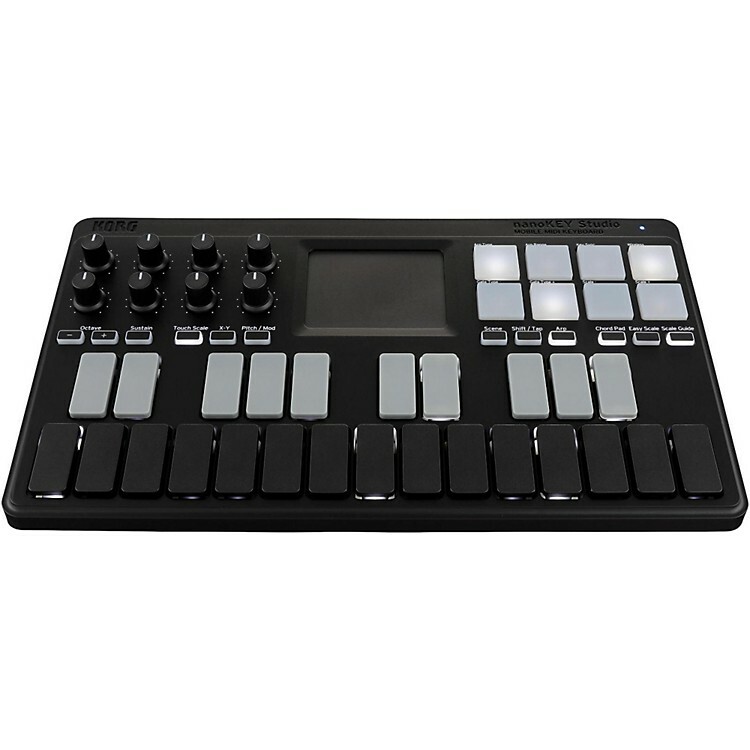 Wireless Bluetooth LE or traditional USB MIDI connectivity. Order today and ensure your continued productivity in tight spaces.